For a refreshing stay and in accordance with the nature, come and try our latest unusual, quite new, quite beautiful, quite funny accommodation with its rounded shape : The Natura Cocosweet ! 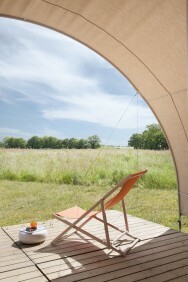 Between the classic tent and the mobilehome, you will be charmed by this new way of camping. Equipped with real beds, table, fridge, microwave, crockery, garden fourniture and barbecue : All the equipment is already on site. 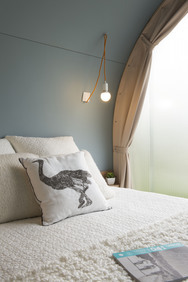 It remains to bring your own bed linen (possible rental option). To have a break during a weekend of for holidays exploring the area. You decide on the formula! Several fixed packages to choose to make your stay easier. 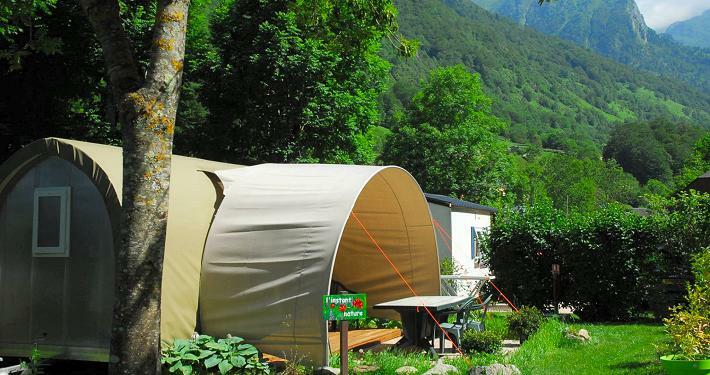 In the heart of the Val d’Azun, in our small campsite Pyrenees Natura****, you will come to look here for peace, nature and comfort. 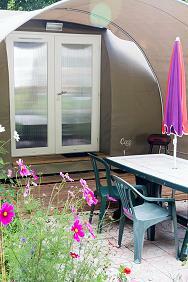 To relax away from traditional rental, come to find the campsite’s spirit and”Glamping’s spirit” ! 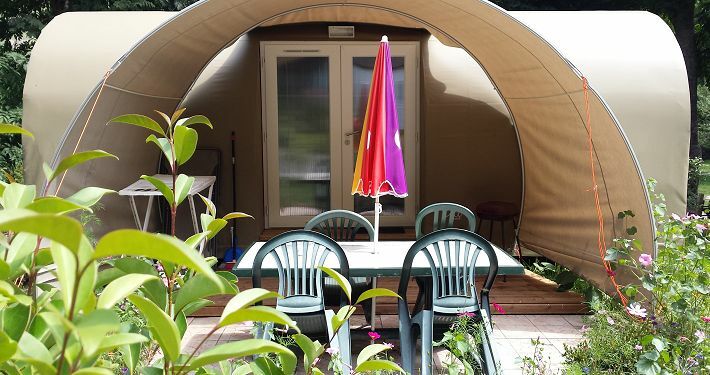 Sheltered by the vagaries of weather, you will take fully advantage of your camping stay. A surface of 16 m², two separates sleeping areas for up to 4 people (1 bed in 140, 2 beds in 80), a central place of life and a central covered terrace made this unuasual housing environment. The whole in a landscaped and flowery frame. Young and old will be delighted ! Electricity included, water point on spot, no heater, not equipped with toilets (toilet block at 30 m). Tourist tax not included € 0.55/day/personn + 18 years. Rent only weekly in August. * Our Hypermarket grocery store, daily bread and pastries, breakfast, snack bar, a wide selection of beers and wines throughout the day and our regional products area.